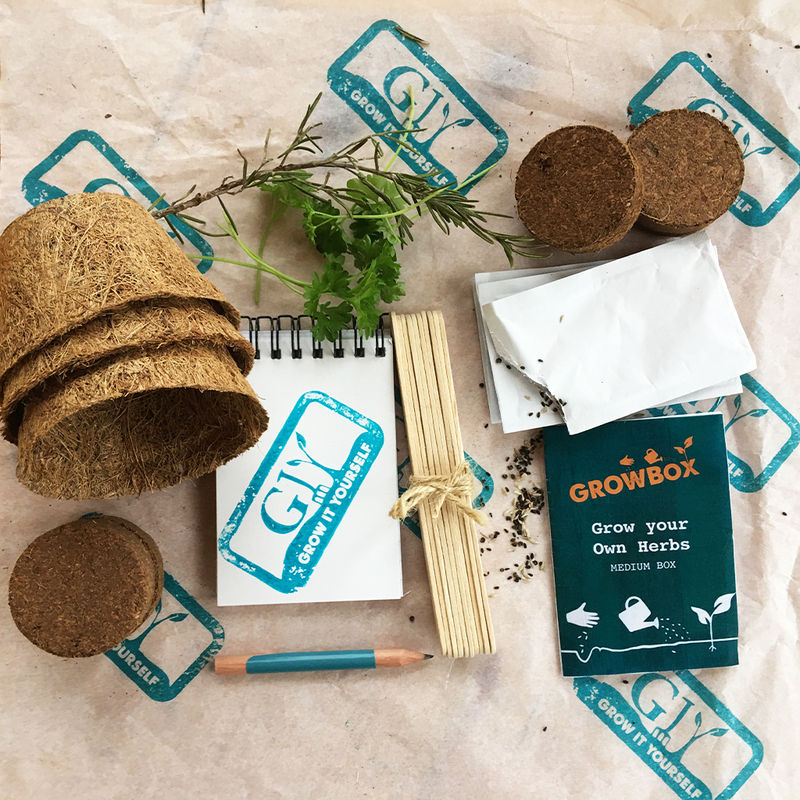 GROWBox is a complete, tailored kit with everything you need to grow food at home. We know what it's like to want to grow food and not have a clue where to start. We hear the same objections to growing food at home over and over; lack of time, lack of space and, mostly, lack of know how. GROWBox breaks down those barriers and empowers everyone to grow some food at home. 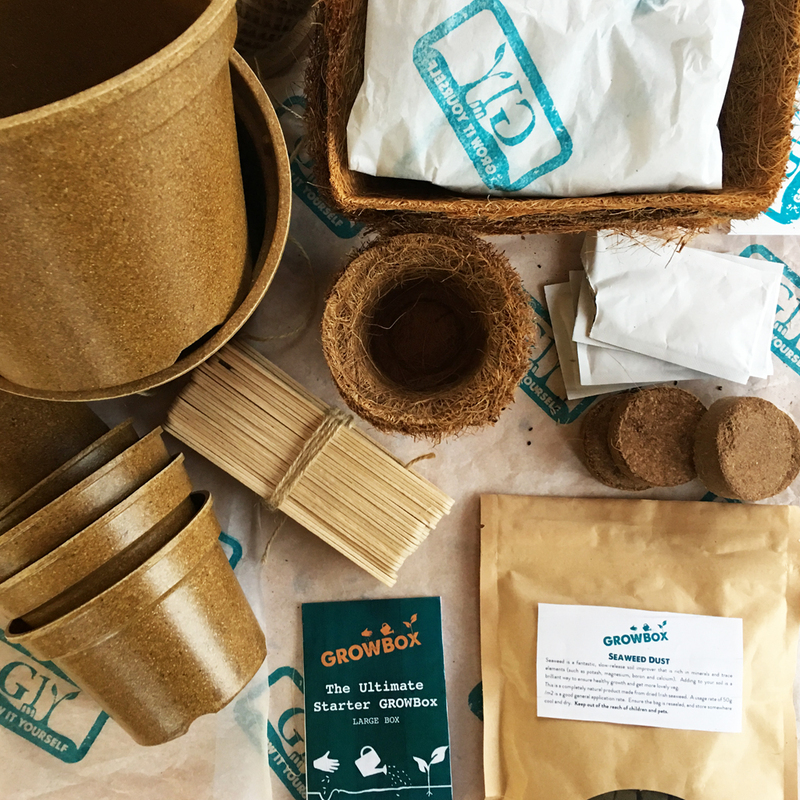 Every GROWBox has all the kit and caboodle for a specific growing project, e.g. Grow the TV Show has 5 of the Veg from GROW COOK EAT Season 1, plus the book that inspired the TV show (also called GROW COOK EAT) plus pots, trays, seaweed dust, compost discs, and most importantly, every GROWBox contains a GIY growing guide with plain English instructions for growing all the veg. What are the types of GROWBox? 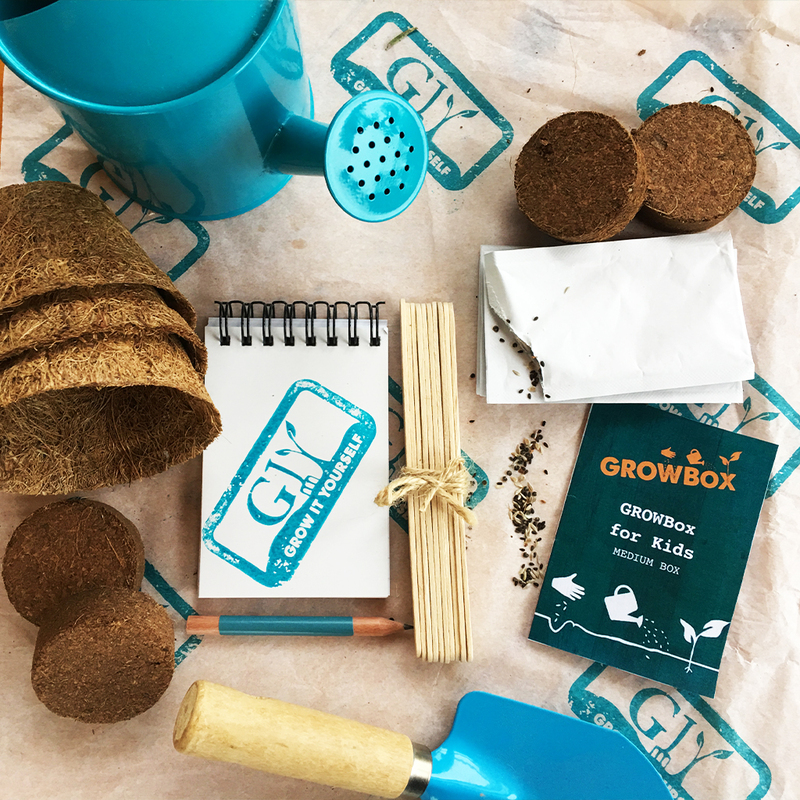 We have a range of small, medium and large GROWBoxes and they are all themed, from the Absolute Beginner, the grow your own Chilis Box, the Urban GIYer, GROWBox for Kids and all beautifully packaged and presented. We've done all the thinking and planning, so all you have to do is pick your favourite! Browse the range of small, medium and large GROWBoxes. Delivery is €3.95 anywhere in Ireland and free-shipping for orders over €80.